Rugs can be crocheted in all sorts of shapes and sizes from ovals, squares, rectangles, heart shaped and more. Round rugs and oval rugs fill rooms with character and charm. 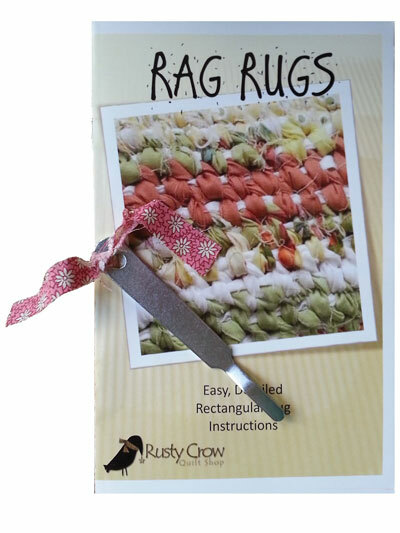 When crocheting a rug there are many materials than can be used to make a rug. Many crochet rugs with rug yarn, cotton yarn, worsted-weight yarn, yarn with more than one strand of yarn held together, fabric strips and even plastic bags. When crocheting your rug make sure to use a yarn that will withstand traffic and be easy to care for. Creating the rug in a round shape is fun as you go you can decide whether to make the rug large or small. Most round rugs are crocheted by increasing your stitches as you work your way around the rug pattern. Upon completion of a rug you can add a backing for protection. Display your finished rugs in bathrooms, living rooms, bedrooms, kitchens and more. Here are a few crochet patterns for round and oval rugs to crochet.